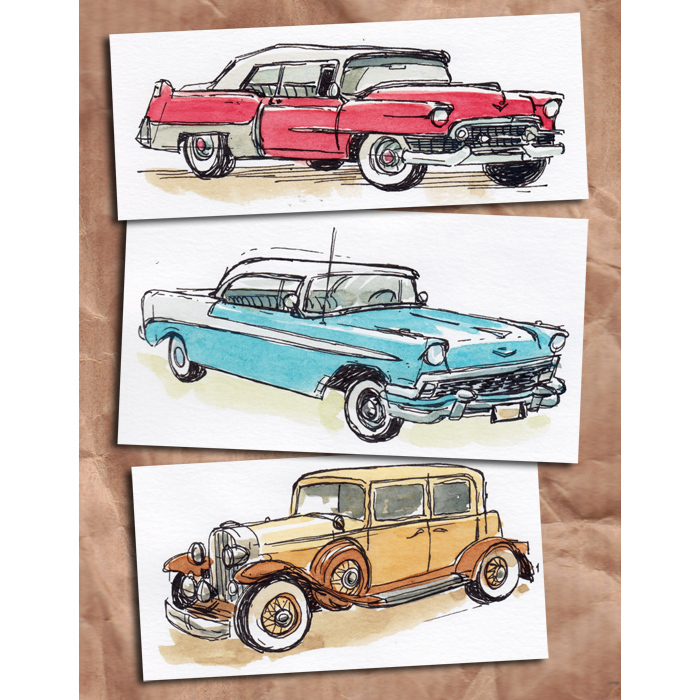 Classic cars, sketched from photos. Fountain pen and watercolours. Klassieke auto’s, getekend van foto’s. Vulpen en aquarel.